Literature / Legends and Myths. “Perceforest” (French prose romance, 14th century). 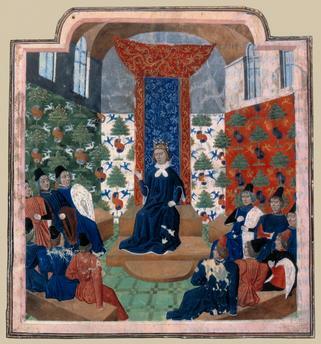 King Perceforest and his court.